Blogging is the way to make money online, this is true but the main important thing is how would you live with it? Means how can you become a professional blogger? To become a professional blogger you have to be professional in blogging like writing, blog design, SEO(Search Engine Optimization) and many more things you have to learn, even if you want to know more about it, in easy language we can say that in blogging, we have to update itself every day to compete other bloggers and satisfy your visitors. In this article I am going to share with you, things you should learn to become a professional blogger and to enjoy your life in the better way like many other bloggers. I have categorized all those things to learn for becoming a professional blogger in steps wise after reading the whole article, we will definitely come to know everything this is my promise, so here we go. My very first recommendation to learn is writing skills, may be you are thinking, why? then let me clear the concept behind this, whenever any user will come to your blog and start reading your article then only one thing will impress the reader that is your way of writing, if you will not write your article in well manner then it is quiet difficult that the user will read the whole article and even the user may be never come back to your blog, in this way your blog will loose one internet user for forever. Don't let it happen for your blog because each visitor is important in internet world, so the solution for this is you have to learn how to write an article better way, let me give some tips for improving your writing skills, but I would like to share this tip with you in different way. Believe in this and keep working with improving your self, here is way to improve your writing skills, read news papers(see how journalists are writing articles and thousands of people are reading), read magazines(Again the same here see the way of writing articles). These two are enough to know, how to write an article in better way, but still one important thing I am missing to share with that is read other blogs, how they are writing? Because it's free source to learn and unlimited articles to read(read articles those are on your niche blog), that's why you will come to know some new facts about blogging. I am a Mechanical Engineer, even than I like blogging and I like to learn new things other than Mechanical too, Photo Shop is my favorite now, I usually do experiments on Photo Shop to make a complex animations, creative designs. Here is the main important thing for this section because you have to upload a photo on each post to get visitors from images of your blog. So to get more visitors and also to impressed visitors Photo Shop is the great resource to make it happen easily. Now how can learn Photo Shop- Youtube(My Favorite), Search Engines(for any particular problem). These languages are also important, may be you are thinking after design a blog(by designer), why you need these languages to learn. Let me tell something interesting for this, to make you understand in better way, do now just think about it whenever you need to add something new to your blog then what you do? Again would you hire a web designer, this is also possible may be you will not get the right person. So better opinion is learn these languages to design your blog from yourself and more important you can change design of your blog, when you want. This is one of the best part of blogging, if I knew what is it? when I have started blogging then probably today I would be some where else. But now I knew what is it ? Even I have written many articles on this(SEO) in this blog, to make it clear for people what is this? Because every day it's algorithm is changing, so to up to date you have to stay tuned with this blog. This is most interesting part of blogging, if you are newbie then you have to give more time to learn about it, but let me tell you some basics about it. This is the method my dear friend, which can make you millionaire in a short time, but you have to give more time to understand affiliate marketing. 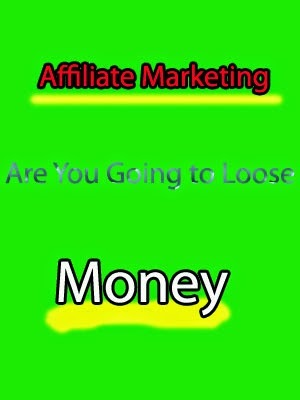 I will write about it, in this blog in details, whenever I will finish my experiments on this, that's why I can share with you my real experiences about affiliate marketing. Till that time you can promote Clickbank products to make more money from your blog. May be you have heard about writing articles daily is the good way to get more traffic to blog and of course why not? That is true but have you ever thinking about it that if you will write articles which have more than 2000 words, how much it will take time to write. About 6 hours for everything little research, writing and then proof reading even after hitting the like button you need to promote it on social media, blog directory. Well, let me tell you, if you want to publish five articles per day then, is it possible for you do it? I don't think so, because in a day you have only 24 hours and sure that can not be possible to work. Exactly, the same thing I am implementing on my next blog and of course super niche blog project, here I am writing on an average one article every week and will be publishing five articles per day and now see what will happen after few days, actually it is possible, because I have hired few super fine writers and that's awesome, of course I am paying more money than anyone in the industry that's why they are working even smarter. So, the lesson learnt here, investment is required to earn more money and to see growth in your business. May be you are thinking it is quiet tough to become a famous blogger, than you are thinking right, but think about it once you will succeed, what you can do? I am telling you to learn these things because you will get real experiences while you will learn and implements, then don't forget to share your experiences on your blog, because real experiences always work in blogging. Keep going that day will definitely come, which day you wanted to see. These tips help create professional blog. Actually am got many things for my knowledge. Keep it up your good postings. I am a blogger. I want to improve my blogging ability and want to be a professional blogger. That article give me a full support for achieve my target. At point no 3 you have given various learning resources for developing website but please guide me which language should be used for developing the website. I have just started so please tell me which language should be used in starting.